STAS minirail is characterised by its extremely slim, narrow design and innovative mounting method. The rail itself is just 16 mm in height, yet it can carry up to 25 kg per linear metre. Thanks to an innovative screw, the STAS clipscrew, the rail can easily be fixed to the wall. 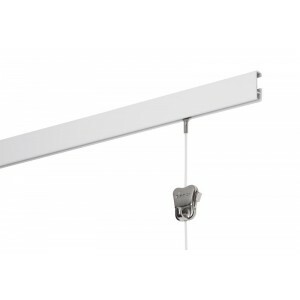 STAS minirail is perfect for creating an elegant, unobtrusive hanging system for light to mediumweight objects. 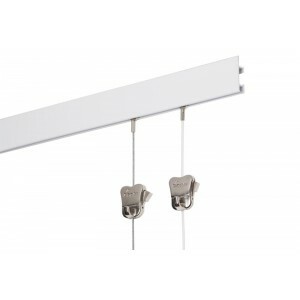 STAS cliprail is a high-quality picture hanging system without any mishmash. It is easy to install and feels right at home in every interior. The cliprail owes its name to the specially designed fastening clip - the STAS railclip - which allows easy fixation to the wall. STAS cliprail max is a hanging system for the perfectionist. An extra rim ensures the rail connects beautifully with the ceiling. With this system, your ceiling, wall and picture hanging system unite as one. 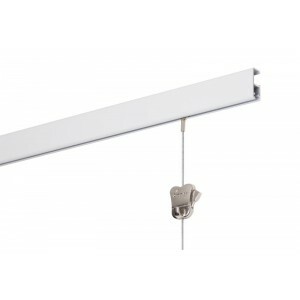 The rail is most attractive when fixed to flat ceilings. 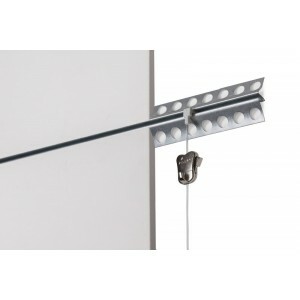 STAS cliprail max owes its name to the specially designed fastening clip - the STAS railclip - which allows easy fixation to the wall. For the best result, you can neatly finish the transition between the STAS cliprail max and the ceiling by adding an (acrylic) sealant. 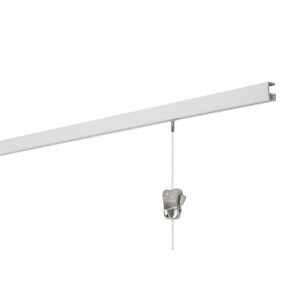 STAS cliprail pro is ideal for hanging heavier objects on walls thanks to its thick-walled profile. 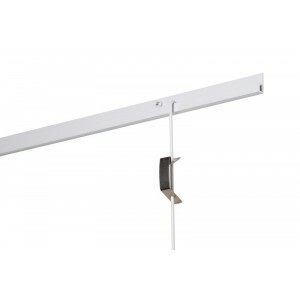 This rail can carry an amazing 45 kg per linear metre. Despite its large weight-bearing capacity, the STAS cliprail pro is an elegant, unobtrusive rail that can be used in professional environments as well as in the home. STAS cliprail pro owes its name to the specially designed fastening clip - the STAS railclip - which allows easy fixation to the wall. The design of STAS j-rail was based on the shape of the letter J. 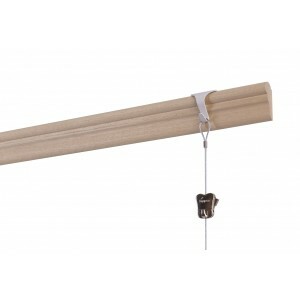 This shape allows the rail to be combined in all kinds of different ways using hooks, cords and even rods. For example, by using a rod instead of a cord or steel cable, moving or alternating works of art on high ceilings becomes a piece of cake. You won’t need a ladder, because the rod can be lifted out of the rail from below. STAS j-rail has a somewhat industrial look and is applied regularly in art galleries and in business premises. STAS j-rail max is designed for the heavy objects. The thick-walled aluminium profile is capable of supporting loads of up to 100 kg per linear metre. What’s more, STAS j-rail max is combined with rods instead of cords, which makes alternating and moving heavy works of art on high ceilings a piece of cake. You won’t need a ladder, because the rod can be lifted out of the rail from below. 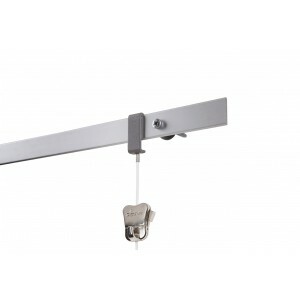 The STAS j-rail max system is also available with theft-delaying security hooks and is often used in art galleries and museums. 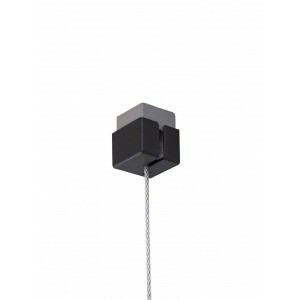 The STAS qubic is a compact and square hanging system. Do not underestimate the STAS qubic by its size, because that is exactly what’s so convenient about this hanging system. 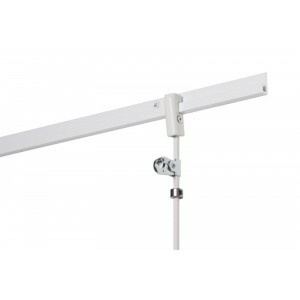 The STAS qubic is suitable for one hanging point and can be easily installed in the more difficult places. Think of a stairwell, a slanted ceiling or for example a pillar in a church. Practically invisible, but by no means less functional. STAS plasterrail is the only picture hanging system in our range which can be fully integrated into a new stucco wall. So it’s ideal for new-build projects and renovations. The steel rail is fixed to the bare wall. After plastering, only a small opening of approximately 4 mm is visible in the stucco. Cords specially designed for the plasterrail can then be hooked in through this opening. 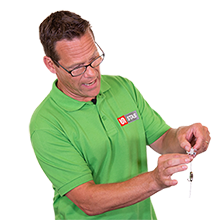 To prevent any plaster from entering the rail during plaster work, a cord must be placed in the rail opening before the work begins. From now on, curved walls can also be used optimally with the STAS evoluon! The STAS evoluon has been specially developed for curved walls, but this rail is just as easy to mount on straight walls or (slightly) undulating walls.